The last thing we did before leaving Niagara Falls was check out the bird sanctuary / aviary. This was probably my favourite stop - I love birds! The tropical ones are so exotic - I love the scarlet ibis, the toucans & the jacana. 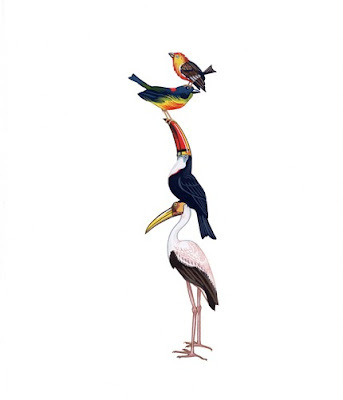 This bird print by JustinRichel reminds me of the wide variety of different species co-existing together.